A native of Ithaca, Maya returned to the area for her PhD after 10 years spent elsewhere. During that time she was, among other things, an Environmental Science undergraduate at University of California at Santa Cruz, a farmer on Maui, a prison reform/social justice paralegal in San Francisco, and a Master's student in Climate Science at Columbia University. Maya is happy to bring her varied skill set back to her hometown to work on environmental issues facing the local area. 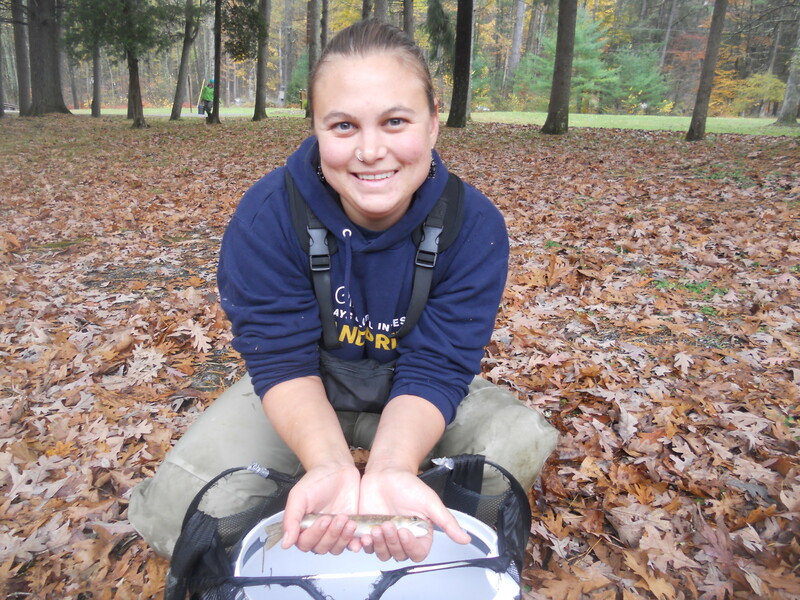 Maya is examining the in-stream impacts of proximate natural gas extraction using the hydraulic fracturing process, using brook trout as an indicator species. Her multi-year field study in central Pennsylvania is nearing completion. She is also using a combined spatial statistics and process-based modeling approach to predict hydraulic fracturing locations and impacts in New York State.